Boston have signed seven new players, including two from League clubs, for the new Blue Square North season. Midfielder Liam Green, 21, and defender Tom Matthews, 20, were released by Doncaster and Hull respectively. 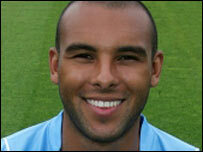 Midfielder Ashley Nicholls, 25, arrives from Grays, while defender Patrick Sappleton, 25, is from Crawley. Also signed up are French winger Ludovic Quistin, 23, ex-Maidenhead striker Dwayne Clarke, 28, and non-contract defender Rob Wesley, 23. Wesley was once on the books of Wolverhsmpton Wanderers. Also joining the Pilgrims is 16-year-old goalkeeper Aaron Butcher, who has joined on a two-year scholarship.